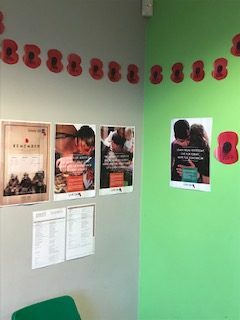 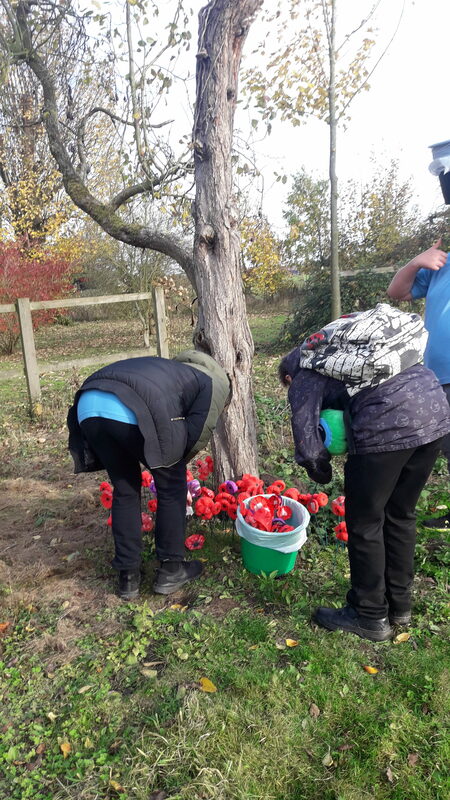 On Friday the children and staff joined together for 2 minutes silence to remember those who lost their lives in the world war. 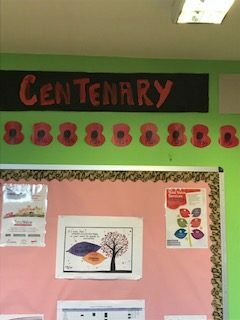 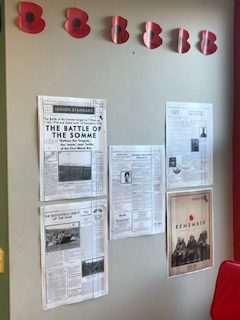 The children decorated the community room with wall displays sharing information from this era. 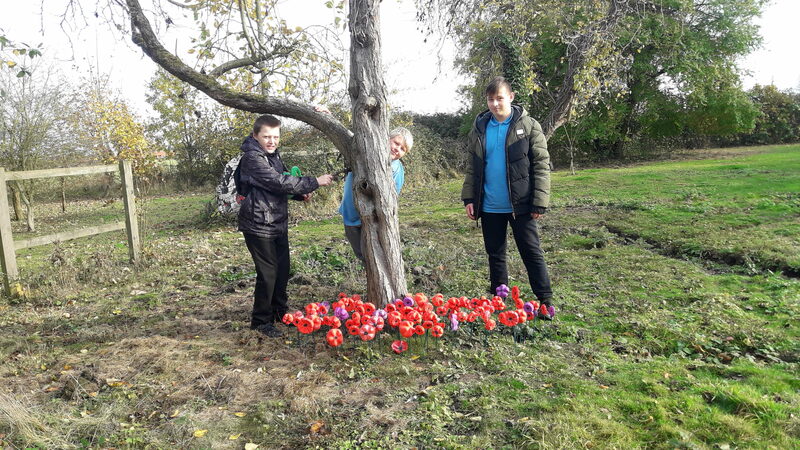 They made 100 poppies out of old plastic bottles and these were planted around the school grounds.